I’ve been curious about the Alchemy Z5 for a while, mostly due to the radical atomizer design. It looks like a big improvement over the eRoll! 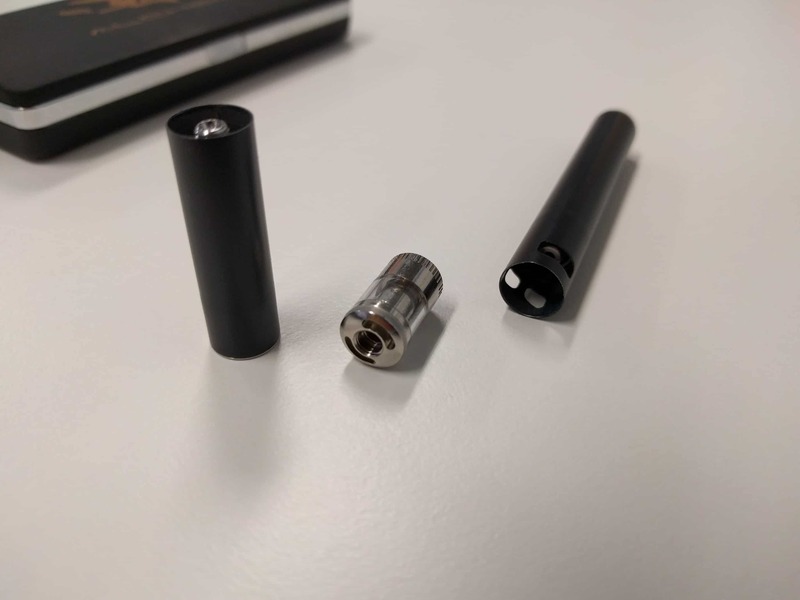 I must say that it was a bit hard to find – I had to purchase it from FastTech , and shipping (predictably) took a few weeks. But at last, it’s here! Wait, what? 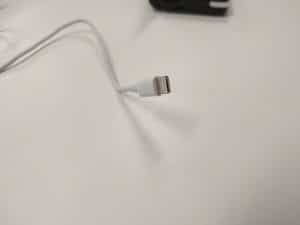 A Lightning cable? You read that correctly. 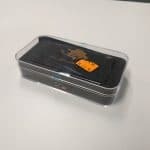 So instead of using a standard micro-USB cable, as used by virtually every manufacturer out there, you get a cheap version of what Apple is using for its iPhone. That just doesn’t make any sense to me – I have an iPhone, and I never was able to find a cable when I needed one. Now I have the same issue with two devices instead of one. And it gets worse: I needed considerable force to insert the cable into the PCC. This could be a minor defect with the unit that I bought, but it doesn’t exactly inspires confidence. Speaking of the PCC – while it closes with a convincing “click”, it’s rather hard to open. However, there’s a trick: press hard on the side lip, and it’ll open. Unfortunately, it took me a while to figure this out. 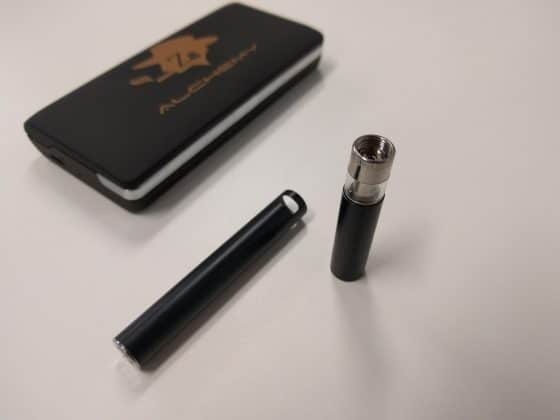 It can charge one e-cig at a time, and that leads us to another minor annoyance: the spare e-cig will invariably fall out of place whenever you open the PCC. Extremely frustrating. 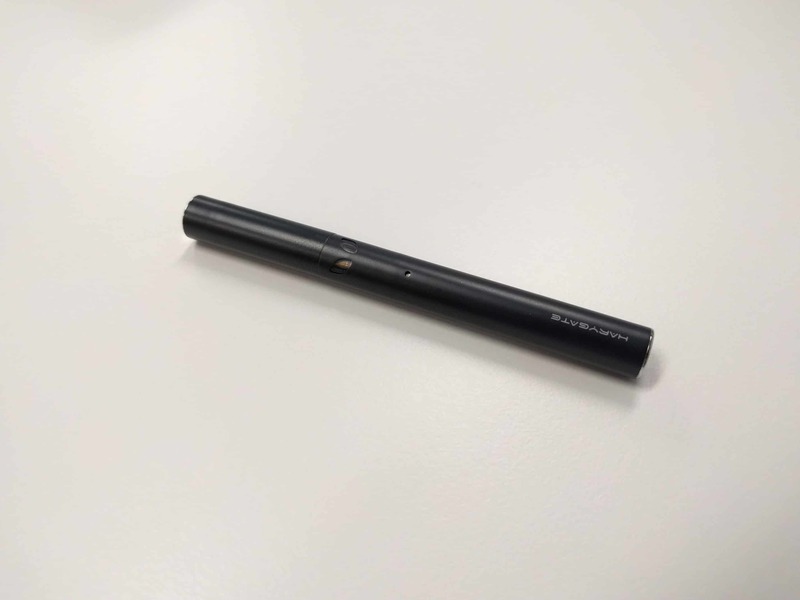 And while the spare won’t stay in place, the charging e-cig is rather hard to remove from the case. 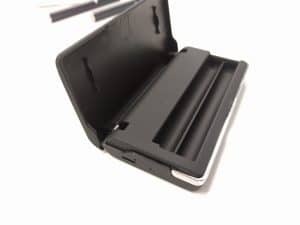 Overall, the portable charging case looks and feels very cheap indeed. 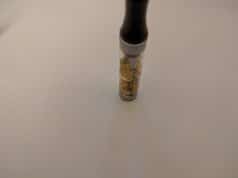 Let’s move on to the e-cigarette itself! 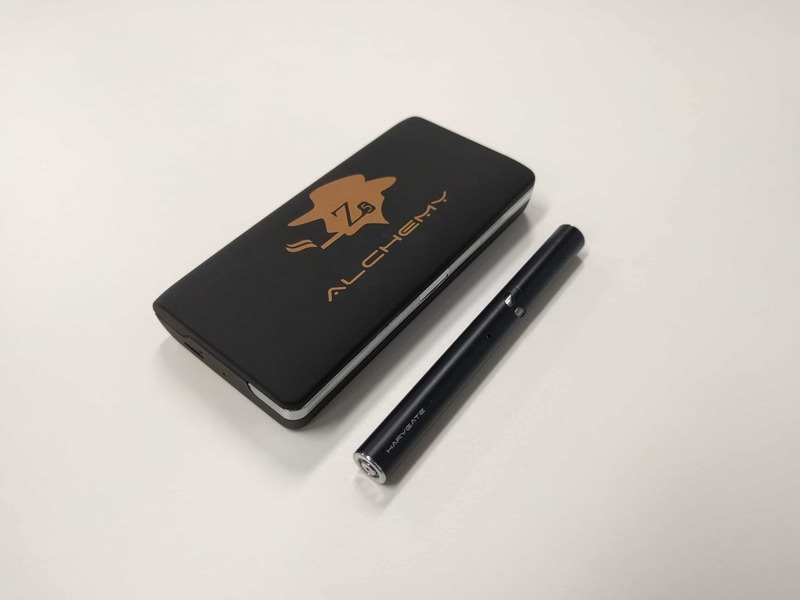 As I’ve said, the Alchemy Z5 has a very interesting atomizer design – the atomizer head screws in the tank, and the whole assembly screws on the battery. Unlike the eRoll, this shouldn’t leak all over the place after only a few refills. The whole package looks and feels like a slightly thicker eRoll-C – and that’s a great thing. It makes an annoying whistling sound when you inhale. 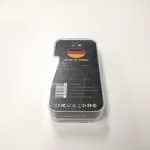 It hardly produces any vapor – you must pull really hard in order to get anything, and then you’ll get e-liquid in your mouth. I really wasn’t expecting that – but vapor production is really terrible. And of course, there’s no throat hit whatsoever. On a positive note, it’s really inexpensive at under $20 for the starter kit (including free shipping). But that’s still a $20 that could (and should) be spent on a better product! 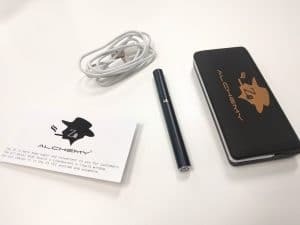 Great ideas, poor execution - and unfortunately, it hardly produces any vapor. Wow glad you did this review before I got mine (my shipment from fasttech got lost lol) so now I know to get a refund as apposed to having another one sent. As soon as you mentioned it I pulled the trigger. Glad I did it before you! Let’s hope they don’t find your package. 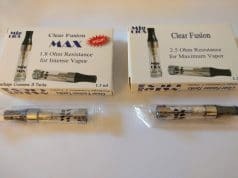 I’ll tell u something you should check out that you won’t be disappointed in is the “real precision” tanks they are just like v2 ex blank but with 510 thread and a cig a like shaped mouthpiece rather than the “vase” shape like the end feels like a carto in your mouth….and the best part is the mouthpiece from the thread down is same exact size as v2 ex so now I’ve been saving and washing the mouthpieces when the real tanks go and putting them on my v2 ex tanks to make them more cig a like. 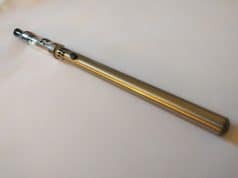 And both are great awsome vapor and throat hit….honestly I don’t know why it took so long for someone to figure out that a “cig a like” tank shud have a cigarette style mouthpiece…but thank god they finally did cause they are both my go toos for work now thanks to the mouthpiece.